Weekly Response: Wiley’s "The Popularity of Formulaic Writing"
Wiley has some good points. I understand that she is not happy with the formulaic nature of Schaffer's pedagogy in her program that teaches the multi paragraph essay. She suggests, per Collins, that teachers should use the formula as a strategy, not a formula per se. I would hope that teachers could use the formula, but add more to it, so it isn't exactly a recipe. 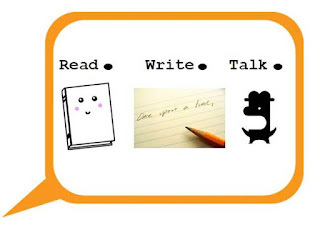 "To develop as writers, students must develop a repertoire of strategies for dealing effectively with various writing tasks presented to them in different situations. They must also learn to make choices about genre, content, structure, organization, and style; and they must learn to hone their judgments about the effects of the choices they make as writers." Yes, but using Schaffer's program doesn't precluded teaching situational writing also. Schaffer's program is a nine-week curriculum. It would be used as only a part of class, and other genres and strategies would be used before, after, and in conjunction with this method. A class meets all year, not just 9 weeks. To teach in the classrooms that Wiley mentions, poorly administered, overcrowded, and disadvantaged, this formula can be a lifeline to students who don't know where to start. Just because Schaffer doesn't offer a "what to do next" in her program doesn't invalidate the program. Teachers and districts can certainly figure out that there is more to do once students have a framework for a multi paragraph essay. She says, "To be fair, there is nothing in Schaffer's curriculum guide to preclude teachers from encouraging exploration." Exactly. If teachers are using the program as a crutch and don't know how to teach nor inspire their students to reach for more, I don't think that is a weakness of Schaffer's program. Further, Wiley makes the claim, "Yet the teachers who would be attracted to the guide are typically those who don't know how to encourage such exploration." If we are talking about poor teachers here, I don't know why that reflects on Schaffer's program. Poor teachers will do a poor job with or without Schaffer's program. The program should not be evaluated based on how the worst teachers will use it. Rather, will the worst teachers' students benefit more with or without the structured program? I bet "with" is the right answer. Also, after discussing the disadvantaged school systems and the unprepared students, why would the teacher, poor or expert, be to blame if he/she finds a method that can help students succeed at writing tasks and gain confidence in their abilities? However, this strategy won't necessarily be helpful in other situations, such as when students must submit an autobiographical essay with their college applications. The formulaic approach would make their writing sound mechanical and simpleminded. It is also less helpful in situations where reflective, speculative, or argumentative writing is called for. Here writers might need to develop longer chains of reasoning through which they explain their positions on an issue, why something occurred, or why they took a specific action. I agree with Wiley. The strategy won't work in other situations. It shouldn't. It is a strategy for writing multi paragraph essays about literature. Once the students have learned that strategy, or concurrently as they are learning it, they should move forward, outward, and onward to genres, audience, critical thinking, and exploration of their own writing. As in Fister's article, Wiley trashes a practice because it doesn't provide enough expertise; it doesn't succeed in teaching students to become writers. There are so many ways to write, and so many different expectations, that no one method is going to teach writing for all occasions. Donald Murray might spend a year with a student who would become a great writer of stories and narratives. What would that student do when faced with a multi paragraph academic essay in response to literature? There is nothing wrong with using formulas, strategies, and methods that contradict each other. It helps the writer experience different styles and expectations, just like "real-life" writing. Further, I think many of these scholars think that every student should end by loving writing and being an exploring, expressive, and enthusiastic writer. I don't think that expectation is realistic. As great as my science teachers were, I will never have an interest, passion, or curiosity for science. I did need enough basic knowledge to pass science classes, though. Often, it is useful to give struggling students tools for success. Students who have passion for writing will certainly move beyond the formulas and strategies when given the opportunity. Because the formula curriculum lasts only 9 weeks, there is plenty of time to give them that opportunity, to encourage students to develop as writers. I enjoyed reading two very interesting articles this week. First, Fister clearly tries to make a case as to why we should abandon the research paper. Her points being: that there is a messiness with citation rules, that students do a great job finding sources but do not know how to evaluate those sources, that students simply "skim the surface" when looking for valuable support for their topic, and that it strips away original thought as students often abandon good topics because sources to substantiate their points are limited. All of her reasons feel true, yet I still find value in the work behind creating a research paper. I think it teaches kids to understand the importance of supporting their thoughts and arguments. It also shows the importance of searching for scholars and experts who can "back you up." The problem with "skimming the surface" sounds to me like laziness. Students need to be taught that they have to actually read sources fully and evaluate the information presented within the text. Years ago, my school taught the research paper. We began with the "mini-paper" in sixth grade. This is where they were introduced to research and the process. Then in seventh grade they completed their first paper through an interdisciplinary collaboration between language arts and social studies. And by eighth grade they were to choose their own topics and fly on their own. 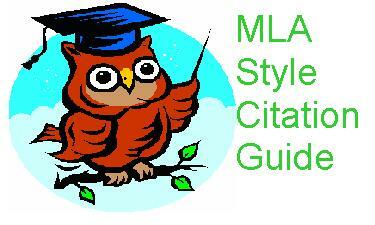 I even helped create our Research Style Guide during summer PD. I felt that this was an important process and really helped the students for their entrance into high school. However, with Common Core take over, the research paper has been abandoned in our middle school language arts curriculum. I felt that teaching students of a younger age how to begin this process was beneficial and set them up for success when they reached higher grades. Formulaic writing...I will admit as a sixth grade teacher that I am guilty of teaching my students the five-paragraph essay "formula." When coming over from the elementary schools, they often have never written formal essays before, or if they did they come with limited knowledge. However, within this "formula" my students are not taught to count sentences and I am not looking for proper ratios! 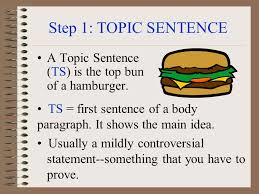 They may be taught where a thesis sentence goes and that you begin with topic sentences, but what goes into those paragraphs are their ideas. They make decisions about what they are saying and how to say it. Needless to say, I was blown away by the Schaffer Model and it's formula that strips away true writing. I also couldn't believe that the article states that this model was designed for ninth and tenth graders! 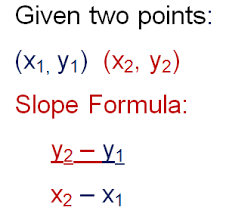 By the time kids reach those grades they should be long gone from following formulas. Now I know that there are many struggling writers who need more support with organization, and a formula can often benefit those students. However, one size does not fit all. 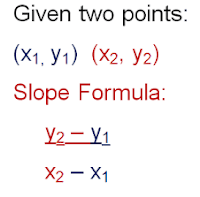 Are we supposed to teach this formula to our advanced students? Such a structure would hold them back. I like how Wiley states that we should use our formulaic writing ideas as strategies not as a structure. He states that what is easy fro teachers is not necessarily good fro the students. This is so true. Barbara Fister’s “Why the ‘Research Paper’ Isn’t Working” touches on something that gave me a very hard time when I first returned to school—citations. Until I got used to HOW I was supposed to cite things—meaning after I bought the better citation handbook by Diana Hacker—I was terrified to quote lest I did something wrong when I got to the “Works Cited” section, looming over me with all those specific rules, at the end. Fister’s love of the idea presented by Nick Carbone: “…students first learn to write using sources the way people outside academia do—drawing them into the text as journalists and essayists do” is shared by my former freshman self. However, had I not had to plunge forward and learn the different rules of citing, as well as the correct form of entering quotes (which had not changed very much since I was in high school—only the movement towards MLA) I would have had a terrible time as I moved into the classes where I was required to include annotated bibliographies and other more complex citations! I admit, the freshman me often skimmed the surface a little or did not include a piece that looked too threatening to cite, but again, it is a necessary evil and avoiding it completely until later might be a huge mistake. Fister’s suggestions about calling it a presentation are useful in that it makes for a more interesting approach to the assignment, and a slightly more cautious stroll into the citation arena could prove helpful to many students—even including a quick reference guide for them to follow. I had one wonderful professor who did that, after I had the Hacker book, but I know it was a life saver for many students in that class, and they kept it handy for other papers. Practice makes everything become easier and the process, unfortunately, has to be learned. From recent experience I can attest that waiting does not make it any better. Who is this Jane Schaffer and why does she want to create a group of clones who can write ONLY as her approach dictates? I recognize and sympathize with the difficulties many students face as they begin writing more demanding, involved papers. More importantly, I feel the frustration of both the students---struggling to produce something effective on paper—and teachers as they begin the arduous task of placing a grade on that student’s product. While the teacher tries to write what they believe are encouraging comments, they may be shooting down what the student believed was their masterpiece! To instead, have a neat little packet which anyone can follow in easy-to-use steps, sounds like a life-saver and might very well be just that—initially. 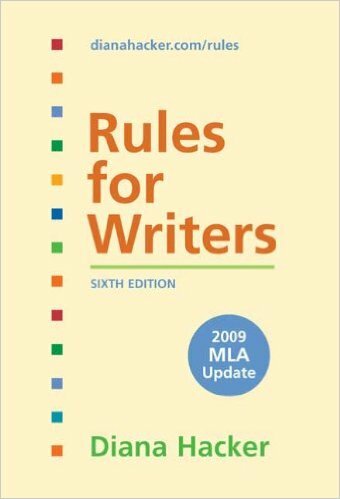 However, I agree wholeheartedly with Wiley’s contentions that once ALL students have the basic “formula’ down pat, many will have no idea how to progress (or digress) from this concrete set of writing rules. Because they have never had to experiment with their own process: brainstorming, finding their voice, organizing thoughts in their very individual style for the audience (the teacher) to appreciate and offer suggestions on, there can be no growth or understanding of how they-the writer--can improve. Without this experimentation with process—and often failure—the ability to move forward is simply not there. For some, the skills needed to complete their required writing projects might be enough. Those students might benefit by the implementation of Schaffer’s program as a tool to get them started in the right direction. Students who have a more creative desire to write individualistically might be able to progress beyond the simple formula and feel encouraged to do so. Other students who are comfortable only with following this step-by-step plan, might be challenged to go further, but will rely on the process they are comfortable with. Writing should be something all people can enjoy and feel confident about, particularly if they are referencing personal experience. Schaffer’s inclusion of instructions for that in her packet is unsettling to me, and Wiley is on point about a student’s dependency on her program. It stunts the growth of each writer’s process of discovery—of self and of their unique style. How can one develop or hear their voice if they are writing through the voice of formulaic steps, carefully adjusted to serve the masses? And without the voice, their growth as writers, and as people, never even begins so their desire and awareness of an audience (other than the teacher who assigned the paper) is nonexistent. The lovely intangibles each emerging writer embraces are reduced to following a rule book for structure and content thus putting an end to the joy of writing something where one hears their voice and actually likes it! No more creativity, no magic on paper. Better to follow Wiley’s suggestion and utilize this for young writers, to give them a solid base, and then say goodbye to Jane Schaffer forever! I was surprised to find that I had strong reactions to the two articles for this week. Fister's article bothered me at first. This is mainly because I still have a bit of the mentality that if I had to do a research paper, so should everyone else. Looking beyond that, students have much to gain from the skills needed to properly cite and synthesize information. I feel that her article glosses over this fact and instead chooses to focus on how earth-shattering teachers find a misused comma to be. The argument about teaching format and ensuring it be done correctly seems, to me, to be a waste of time. For the last few years both myself and the media specialist in our school library show the students how to use easybib or even EBSCOhost. They both have functions that give you the citations you need, all you need to do is copy and paste. So the fact that teachers would still teach it the old fashioned way is surprising to me. After all, we don't send out letters via carrier pigeons; we have a better system. I always viewed a research paper as following a specific set of rules to complete an assignment. It is a task that needs to be completed, meeting a certain set of criteria. The skills required have not changed drastically over time. What makes it so much more difficult for students today to complete a research paper when previous generations somehow managed to do it? Would changing how we view the research paper lead to a "dumbing down" of the research process? One thing that really bothered me was when Fister says she doesn't like when students "have to change their topic because they can’t find sources that say exactly what they plan to say." Yeah, that's what makes it research based on evidence and not a blog post based on your opinion. Many students need to understand that their opinions can't stand on their own in an argument. 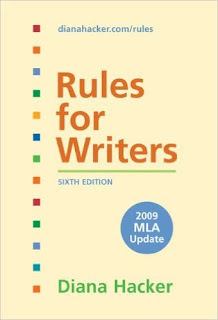 Wiley's article discussed Jane Schaffer's formulaic technique for writing. I can definitely see the benefit of giving students a formula to follow when writing, but I'm among those who see it as too restrictive. Struggling writers might latch on to this formula and use it for all types of writing assignments, event hose it might not be appropriate for. I would assume that any student who is capable of writing well enough on his or her own would be allowed to abandon this formula in favor of his or her own style. I'm not a fan of the lack of an exit strategy when using the formula. 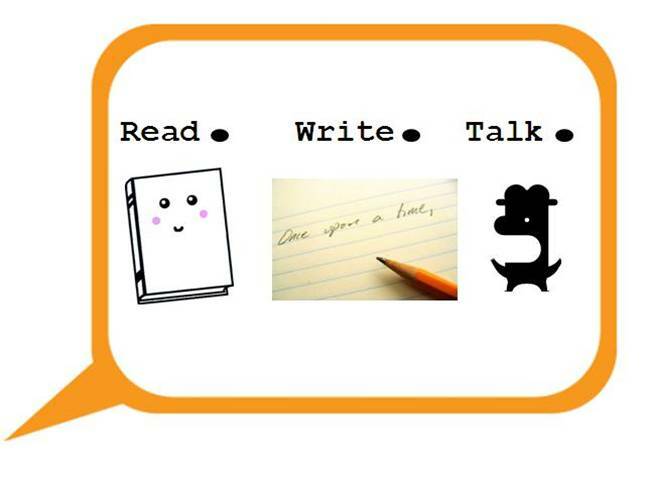 As stated in the article, students should have a variety of writing styles, and this may hamper them. One thing I do really like is how it gives a universal language that the students and teacher can use when referencing certain parts of the paragraph. "Add a commentary sentence" sounds much better than "Explain this". Obviously a language can be developed for each class, but if the program were adopted school wide, it provides consistency.